Looking for the most anticipated new cars for 2019? Some of the best-known cars on the road are due for a revamp in 2019, including some big updates like the brand-new Volkswagen Golf and relaunched Land Rover Defender. They’ll be joined by new 2019 versions of the Vauxhall Corsa, Nissan Juke, Renault Clio and the BMW 1 Series. We’ll also be getting new SUVs in 2019, with the new BMW X7 being joined by the Mercedes GLA and GLB, and larger version of Alfa Romeo’s Stelvio SUV. 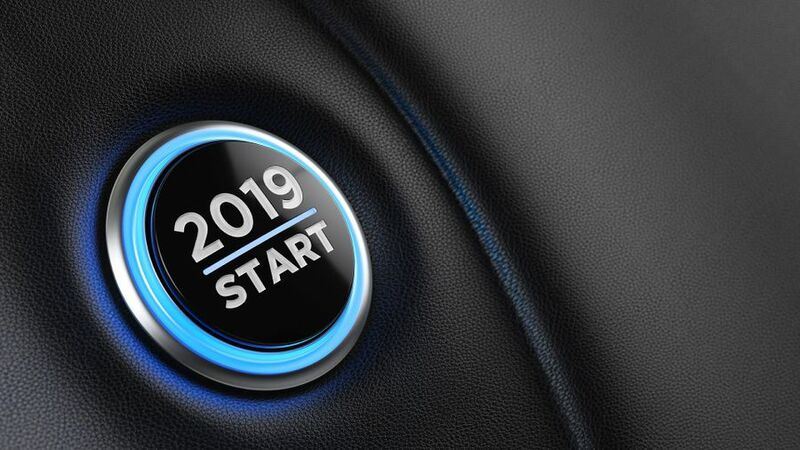 It’s an exciting line up, but by far the biggest change to the UK’s roads in 2019 will be the mainstream introduction of electric and hybrid cars. Having spent the last few years perfecting the technology, many of the biggest names in the industry are ready to move into the electric and hybrid space. Volvo have already announced that, as of 2019, they will only be making electrified cars. An all-electric Mini has been announced, joining new electric cars like the Porsche Taycan and the Mercedes EQC. We’ll also be getting battery-powered cars from Audi and Honda, and a hybrid version of the Ford Mustang, so now’s a great time to brush up on your electric and hybrid cars knowledge. Before we get behind the wheel of 2019’s new cars, here’s a rundown of 2019’s most anticipated cars. Check back as their release dates draw closer and we offer exclusive hands-on reviews and insights into these models. Aston Martin’s first luxury SUV is due to arrive in 2019, having premiered as a concept in 2015. The DBX promises to retain Aston Martin’s style and dynamic prowess, while adding new elements suited to a state-of-the-art SUV. These will include multi-terrain and towing capabilities, as well as a just announced V8-engine. 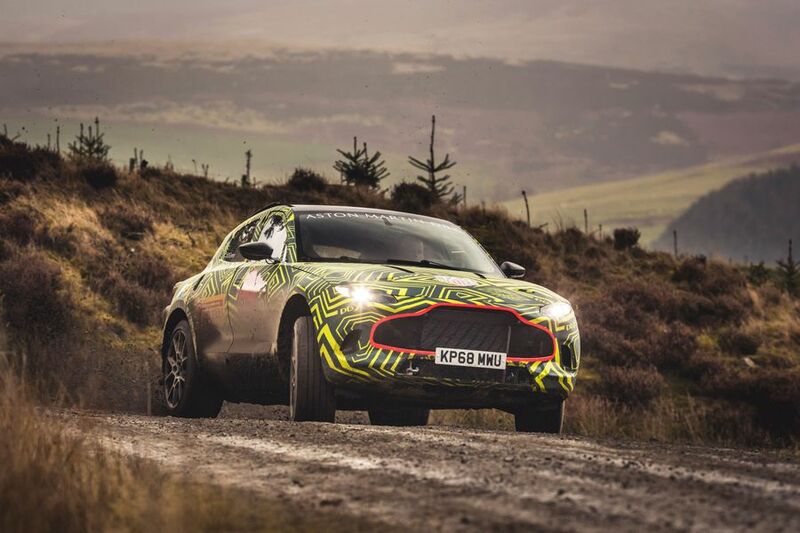 Aston Martin DBX is currently undergoing an extensive testing programme to ensure it meets the hype. Check back for future updates on the Aston Martin DBX, or explore the Aston Martin range on Auto Trader today. Two years after the Land Rover Defender went out of production, it’s set for a comeback at Land Rover’s 70th anniversary celebrations. Set as one of the three pillars of the company, alongside the Range Rover and Discovery ranges, we’re told to expect a full family of Land Rover Defenders from 2019. This family will probably include different wheelbases and could extend to an SVR performance version. Land Rover is playing their cards close to their chest, but we’ll update you as soon as the new model family is unveiled. In the meantime, explore the Land Rover used and new car range on Auto Trader. The Nissan Juke will get a refresh in 2019, with the reveal set for February and first orders scheduled for March. With an updated design and mechanical parts from the latest Micra, the 2019 Nissan Juke is set to be more spacious and comfortable than previous model. Updates are said to include a “Micra-like” interior with dashboard touchscreen, a more distinctive design and a new range of engines, including a rumoured hybrid version. You can see Auto Trader’s range of used and new Nissan Juke models here. The second-generation Evoque is on sale now, with deliveries expected in Spring 2019. Range Rover’s small SUV now has a cleaner look and a new platform. Some 90% of the components are new, and the Evoque now includes mild-hybrid technology for a more eco-friendly drive. 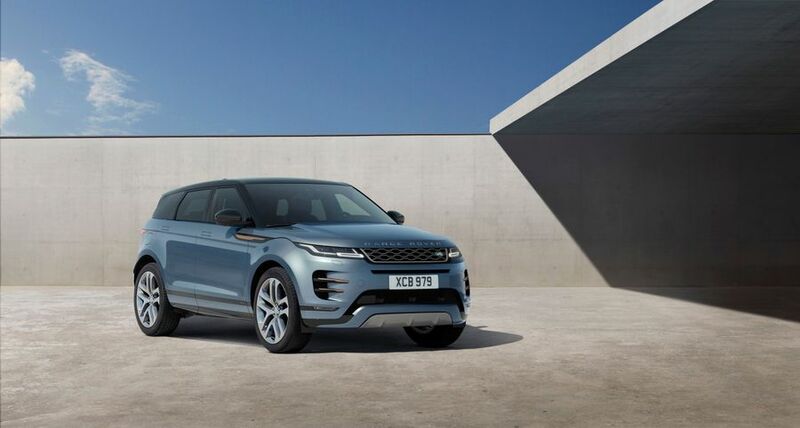 The Evoque 2019 model comes with an increase in wheel sizes (ranging from 17 to 21 inches), and all but the most basic of models will be four-wheel drive. Range Rover have also stated that these new models will be more capable off-road than before. Renault’s new Captur promises an upgrade in technology, including semi-autonomous driver assistance. At launch, new 1.0- and 1.3-litre petrol engines will be introduced for greater efficiency. Later down the line, there should be a 48V mild-hybrid diesel and a full plug-in hybrid by 2020. Take a look at the current Renault Captur used and new range on Auto Trader here. 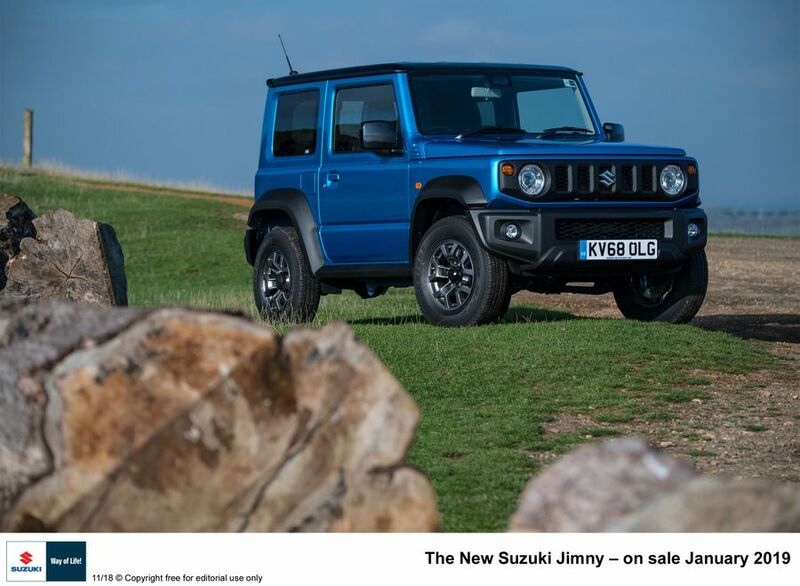 This year’s Suzuki Jimny pays homage to the original, while still offering a contemporary look in a range of colours. Design tweaks have been made to suit off-road drivers, including short overhangs and a decent ground clearance. The new Suzuki Jimny will have a top speed of around 90mph, and now comes with a 1.5 litre petrol engine. The Suzuki Jimny is on sale now, including an entry-level SZ4 manual model and an automatic, top-spec SZ5. Audi’s first electric SUV is sure to stand out. It’ll be the first production car to offer ‘virtual’ side mirrors, which will replace external door mirrors with cameras and images appearing on screens in the door panels. Style-wise, the e-tron will keep Audi’s signature single-frame grille and boast the name badge on the front of the vehicle. In terms of size, expect the Audi e-tron to sit between the Q5 and Q7. 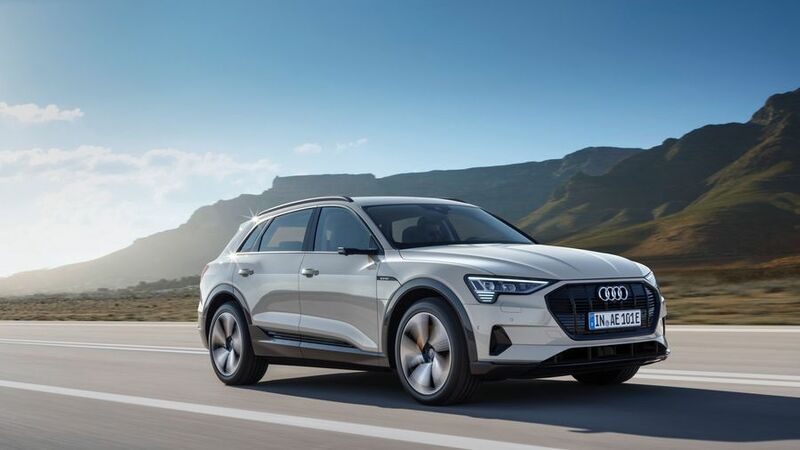 The Audi e-tron will be eligible for the £3,500 UK government grant offered to electric car buyers when it arrives in the UK. You can order the Audi e-tron now, and secure “priority access” with a £1,000 deposit. 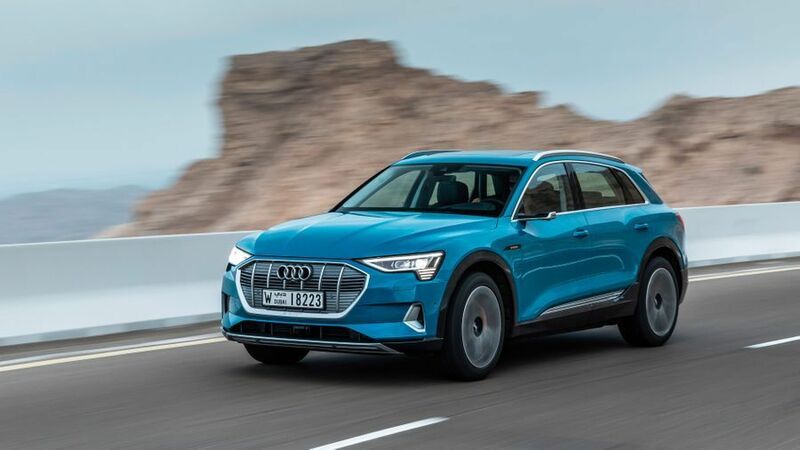 Read Auto Trader's review of 2019's Audi e-tron. 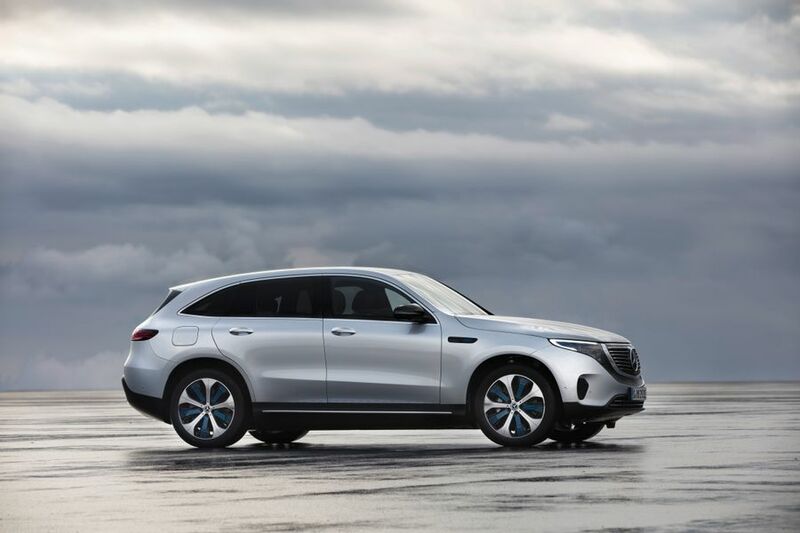 Mercedes’ first electric SUV is due to go on sale in the summer of 2019, heading into competition with Tesla Model X, Audi e-tron and the Jaguar I-Pace. It’ll have an estimated starting price of around £60,000. The Mercedes EQ C is a four-wheel drive with two electric motors. Together, these will get you up to 62mph from a standstill in 5.1 seconds. Official tests suggest you’ll get a range of 280 miles between charges, and if you’re using a fast charger, you’ll fill 80% of the car’s capacity in around 40 minutes. Porsche Taycan will be the brand’s first fully electric vehicle when it goes on sale in 2019. The super-saloon is set to offer separate electric motors for the front and rear wheels, delivering four-wheel drive traction. You’re likely to get 0-62mph in 3.5 seconds, with a top speed of around 155mph. Style-wise, we suspect it’ll have looks influenced by the Panamera. You can take a look at the Porsche Panamera here. According to reports, many of the changes made to 2019’s BMW 1 Series are set to take place beneath the surface. As the BMW 1 Series will share underpinnings with the BMW X1 and the MINI Clubman, the 1 Series will now be front-wheel drive, rather than rear-wheel drive like it has been in the past. 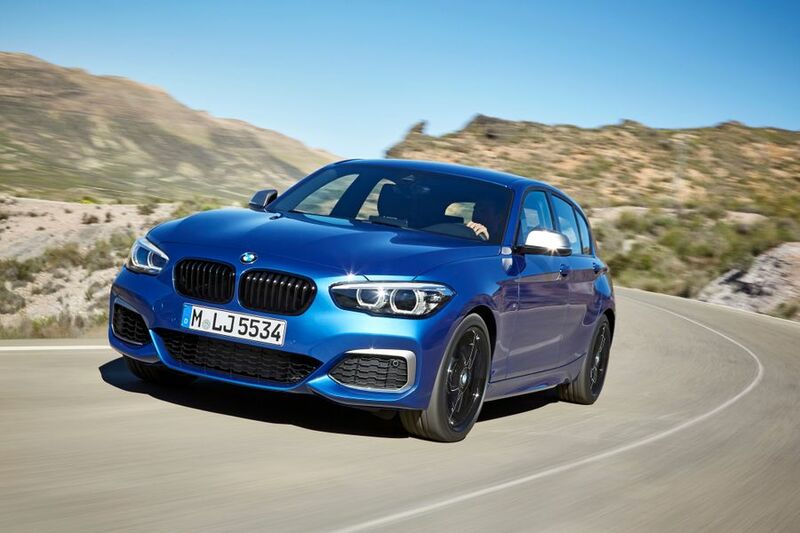 More powerful versions of the 1 Series will get four-wheel drive for extra traction. BMW has said that this new layout will provide more passenger and boot space, and that it’ll improve fuel efficiency, too. Check back for more updates and explore the current BMW 1 Series range on Auto Trader. 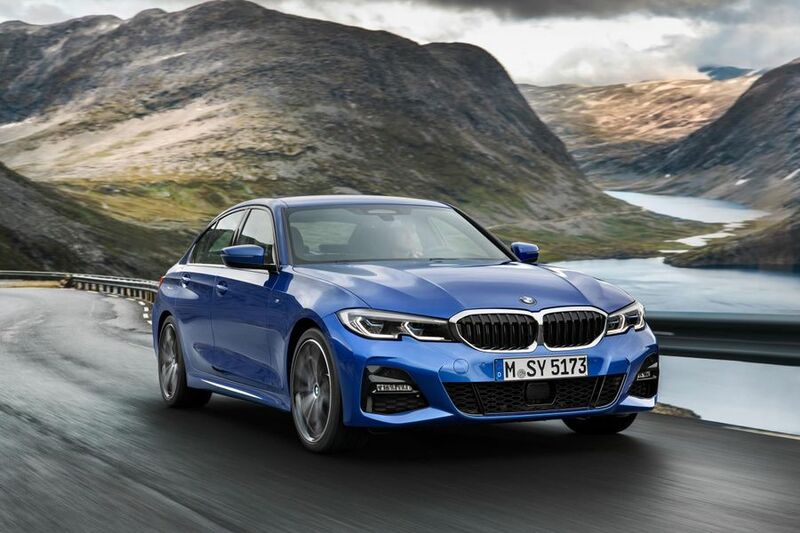 2019 will see the seventh generation of the BMW 3 series arrive. Buyers will be able to choose between two diesel models and a petrol model from launch, all of which will have 2.0-litre engines. Inside the car, BMW has responded to customer feedback and de-cluttered the dashboard. The car’s main functions will be clustered around the gear selector and the dash-mounted screen. There’ll be more on-board tech than previous models, too, and this will include an “intelligent personal assistant”. This system will be able to learn and recognise driver habits and adjust the car. It’ll also respond to driver commands so, for example, you can tell the BMW you’re tired and it’ll automatically lower the temperature and play music to wake you up. When the BMW 3 Series arrives in the UK, it’ll be with three specifications: SE, Sport and M Sport. All three come with LED headlights, a reversing camera, alloy wheels and three-zone air-con as standard. Prices start from around £33,000 for the entry-level 320d, and you can place your order from March. The new 3 promises to be quite the stunner. Mazda is aiming to move its hatchback further upmarket into competition with Mercedes A-Class and Audi A3, which should mean smart new looks and improved quality. Mazda claims that the fourth-generation Mazda 3 will offer petrol-engine performance coupled with diesel-fuel economy. This will be available through new engine technology dubbed SkyActiv-X, which should offer improved performance while also improving fuel economy. 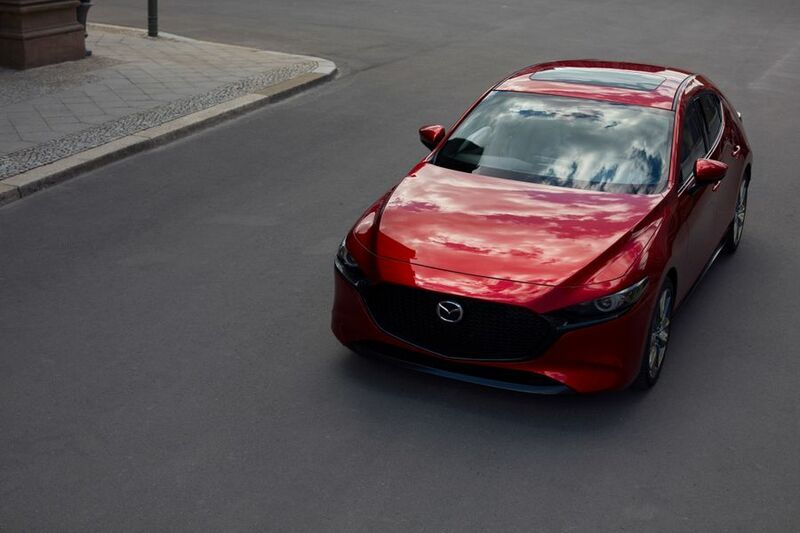 The next Mazda3 will also offer two more engine styles, a cheaper petrol engine and diesel engine. Browse the existing Mazda3 range on Auto Trader here. The new Seat Leon hatchback will arrive with electrification in 2019. In 2020, this will be followed by a plug-in hybrid model. The first Leon plug-in model will grant you an all-electric driving range of around 31 miles. In addition to the electric version, 2019’s Seat Leon will come with new 1.0 and 1.5-litre petrol engines and a 1.6-litre diesel engine models. All will share tech with the new Volkswagen Golf. Remaining a family car, the new Seat Leon will reportedly increase space for back seats passengers as part of its enhanced design. Shop Seat Leon used and new cars here. The world’s biggest-selling model nameplate returns to the UK next year. The family hatch returns with a sporty new profile and smarter design, plus a host of internal features like touchscreen multimedia. Toyota has also promised that the new Corolla will come with better dynamics and improved responsiveness. The Toyota Corolla joins many other cars on this list in using hybrid technology for reduced CO2 emission and improved fuel efficiency. 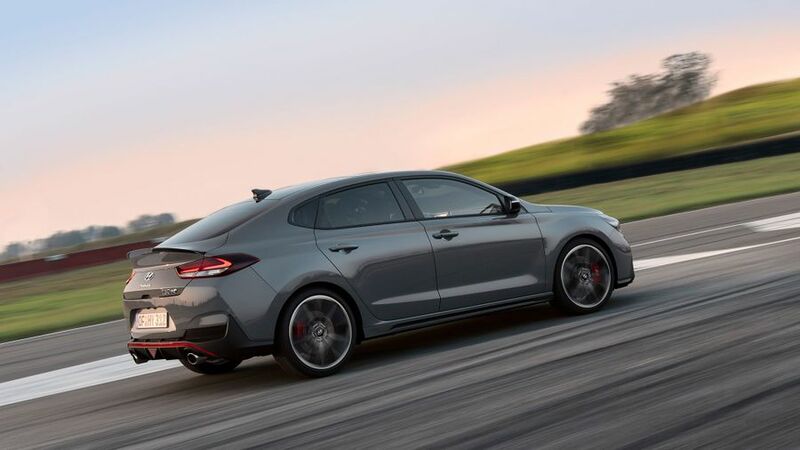 The performance-focused Hyundai i30 N has proved to be something of a hit, and further N models are certain in 2019. First up, there’s a Hyundai i20 N supermini hot hatch due in the next year, based on Hyundai’s comments that they wouldn’t limit themselves to family-sized N cars. It’s likely that a hot hatch i20 will include a detuned version of the i30 N’s 1.6-litre turbocharged engine for around 200 horsepower. Reports also suggest that it’ll be a front-wheel-drive. Also set to debut in 2019 in the Hyundai i30 Fastback N, touted as a “more elegant” version of the hatchback. Customers will be able to choose between a 250 horsepower 2.0-litre engine or a more powerful 275 horsepower ‘Performance’ version. The Toyota Supra will end a 15-year absence with a debut at January 2019’s Detroit Auto Show. Developed in partnership with BMW, the new Supra is set to be a petrol-electric hybrid sports coupe. It’ll come with a rear-wheel drive platform and both straight-six and four-cylinder engines. Little is confirmed about the Supra at this stage, but its official debut is only a few weeks away so check back for more details in due course. Including a mix of petrol, diesel, hybrid and electric models, 2019’s Audi A3 hatchbacks are set to incorporate a range of new technology to compete against popular SUVs. Many of the modifications will aim to boost efficiency. Mild-hybrid powertrains will give a small power and economy boost, while reducing emissions by allowing the engine to switch itself off more. 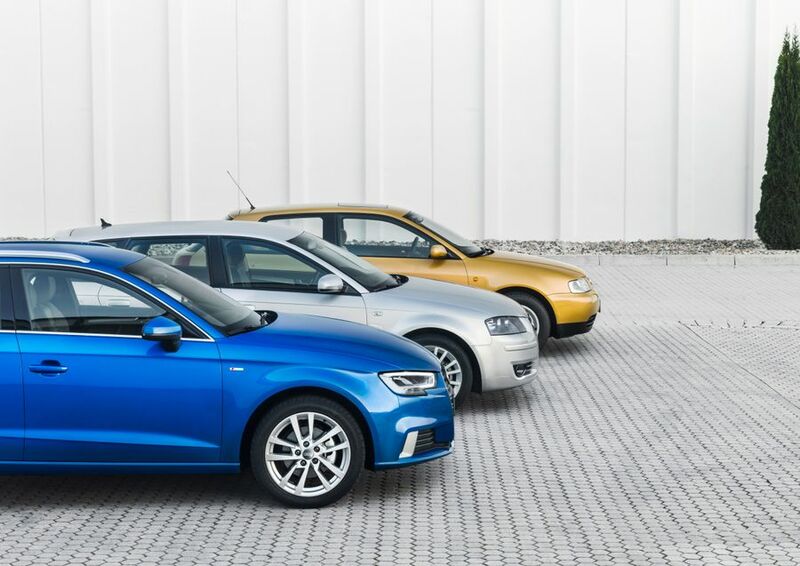 The Audi A3 is expected to draw inspiration from other models in the Audi range. It’s likely to have the 10.1-inch central infotainment screen and digital instrument panel from the Audi Q3, as well as the latest Audi A8’s driver assistance, which makes semi-autonomous driving possible thanks to its radar and camera-based technology. Prices are likely to start from around £22,000, though the Audi A3 is still in development ahead of a preview later in the year. Explore the Audi range on Auto Trader. The next generation Peugeot 208 will come with an all-electric variant alongside a new generation of petrol and diesel engines. Peugeot has already stated that its next supermini will be more upmarket, and rumours suggest it’ll borrow style elements from the 308. The interior overhaul, meanwhile, it set to resemble models like the new 3008. 2019’s Peugeot 208 will boost the existing car’s range of driver assistance and connectivity tech. There’s also rumour that it could be one of the first small cars to offer semi-autonomous driving features. Take a look at the current Peugeot 208 models, and the rest of Peugeot’s range, here. The fifth-generation Renault Clio is expected to launch in 2019, rivalling stiff supermini competition from the likes of the Ford Fiesta and VW Polo. 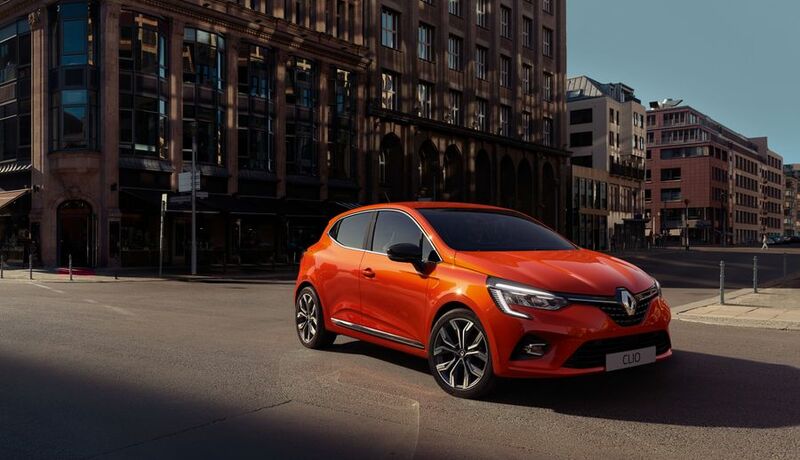 2019’s Renault Clio claims to be one of the most technologically advanced models in its class, and the brand says it has taken on board past criticisms of its interiors in the latest evolution of this model. At launch, customers can choose between 1.0- and 1.3-litre petrol engines, and a 1.5-litre diesel. After launch, there are plans to introduce a 48V mild hybrid and a plug-in model by 2020. The sixth-generation Vauxhall Corsa goes on sale in 2019. This will be Vauxhall’s first car designed under its new owner, the PSA Group, which means it’ll share parts with the next Peugeot 208. One year after this Corsa arrives, we’ll see the debut of the first-ever electric Corsa. The current Vauxhall Corsa remains one of the UK’s best-selling cars, and we have a great range of used and new models available here. 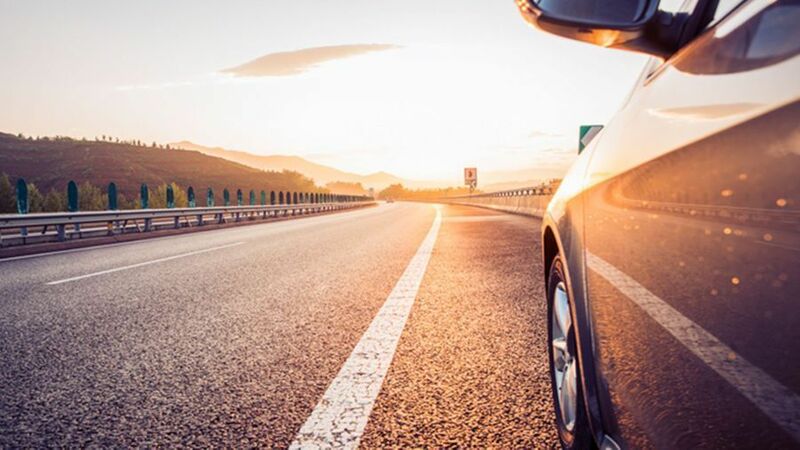 In case you missed it, the new Worldwide Harmonised Light Vehicle Test Procedure (WLTP) lab test for cars now applies to all new car registration (as of September 2018). This means that all the cars featured in this list will have passed WLTP. In news that may affect you, the Real Driving Emissions (RDE) test will be compulsory for all cars on sale from 1 September 2019. You can learn more about these in our free guide to WLTP and RDE. What car tax increases are due in 2019? So far, we know that Vehicle Excise Duty (VED) will go up again in April 2019. This marks the third consecutive year VED has risen for drivers, and the rates will again rise in line with inflation. How much will VED rise in 2019? Seen something you like? Explore our financing deals, or find out what’s going on behind the scenes in our content hub. What’s already on the market? Browse the best cars available on Auto Trader today. Check back for full reviews of 2019’s latest car releases, updated regularly. 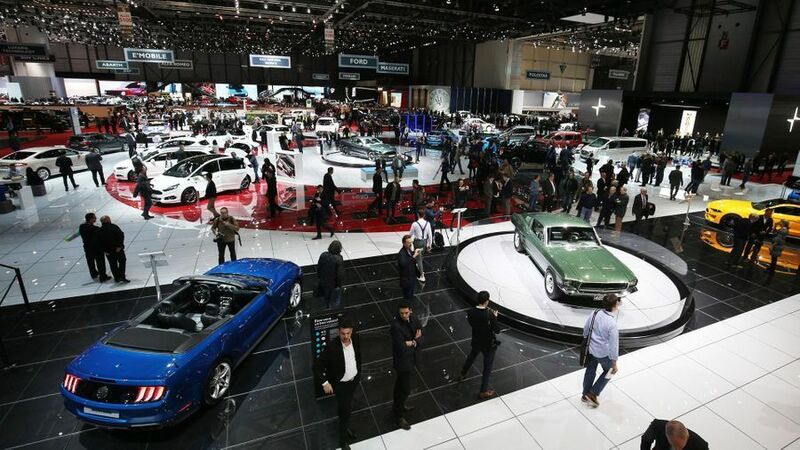 Related: all the best new cars of 2019 are sure to be featured in this year's Geneva Motor Show. Find out what to expect in our new guide.